Personal vehicle emissions add to air pollution in many states. As a responsible driver, you care about aiding the national effort to reduce vehicle emissions—not just because all states have a vehicle emissions limit, but also because a vehicle that exceeds emissions limits is generally in poor repair, decreasing its safety and reliability. Because you depend on your vehicle for day to day needs, you want to keep it in the best repair possible. The Hamburg Garage keeps your car in top condition by offering comprehensive emissions testing as well as superior customer service. 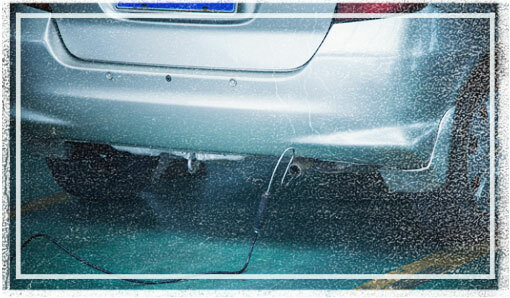 During a smog check, our technicians will connect a device to the tailpipe of your vehicle while the engine is running to measure your automobile’s emissions while it is idle and while it is revving. We will compare our results to the state standards for your vehicle. We also check to make sure that your muffler is in good shape, and we will also make sure that your hoses and pipes are properly connected and working well. From the moment you walk through our door until you leave satisfied with the results, our skilled team strives to supply only the best service to you and your vehicle. Many shops focus only on completing the work order, but our dedicated technicians go above and beyond to exceed your customer service expectations. Put The Hamburg Garage's service to the test by calling at (810) 206-1995 or stopping in at 11179 Hamburg Road, Whitmore Lake, MI, 48189 to schedule a smog check for your vehicle today!